Rick Holzworth describes himself as a Father, Lawyer, and Bike Racer. He is an attorney, practicing in Pittsburgh, PA. An avid cyclist, Rick is actively engaged in the Pittsburgh cycling community. He serves on the Board of Directors for Bike Share Pittsburgh, Inc., a nonprofit organization that operates the HealthyRide bike sharing network, and is a member of the Executive Leadership Council of the American Diabetes Association, for which he organizes the annual Tour de Cure Gran Fondo. 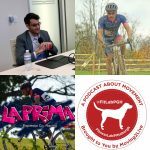 Rick is also the President of the La Prima Espresso Co. Cycling Team and sits on the Board of Directors of the Allegheny Cycling Association.